likes of the Ookla Speedtest app, the results are very similar and it provides you a high level overview of your connect speed. 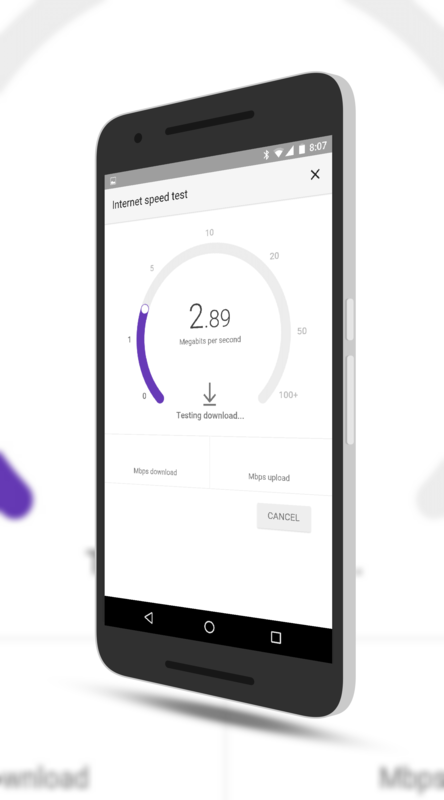 While you can still get more detailed information about your connectivity through an app like Speedtest, if you are just wanting a quick glance at the minute, the new Google Search feature makes that dead simple to do. Again, no update to the Google Search app is required for this new feature. It will just show up as an option for you in Search when you search for Internet Speed Test.